With a tour timed to honor the centenary of WWI and America’s entry in 1917, this poignant new work explores themes of war, duty, courage, and sacrifice. 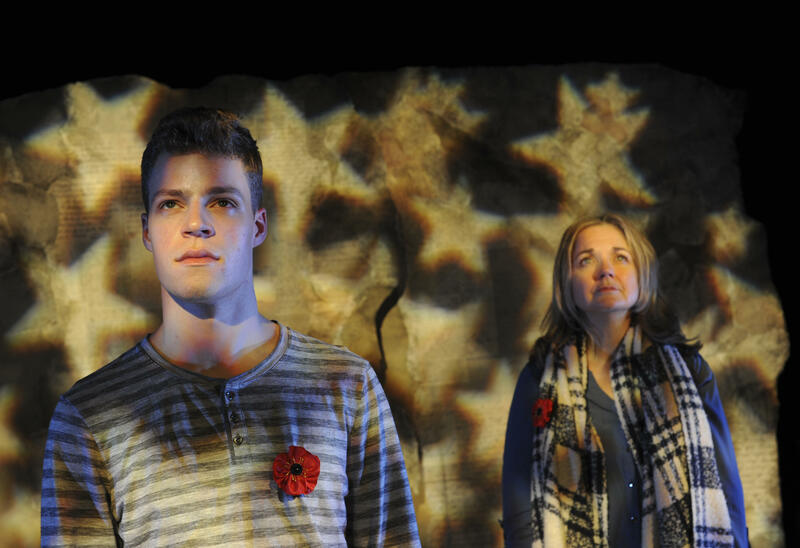 Using the lens of history, we discover the universal meaning and importance of The Unknown Soldier throughout the play and consider his significance for young audiences worldwide today. The production tells two stories a century apart: the battlefields of WWI and the home front of modern day. Thirteen-year-old Charlie is coping with his father’s return from Afghanistan with Post Traumatic Stress Disorder (PTSD), and his Aunt Angela is the peace activist trying to make sense of it all. Through the discovery of some old letters, Charlie and Angela piece together the stories of Albert, a 16 year-old solider preparing “to go over the top” while fighting for King and Country, and Grace, a mother and volunteer nurse who is searching for her lost son. Through Albert and Grace’s letters, the historical war comes alive, and Charlie and Angela find new perspective on the lives of soldiers, nurses, and the families back home.